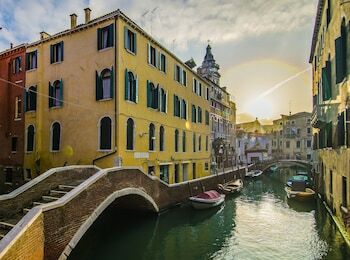 With a stay at Dimora Dogale in Venice (Castello), you'll be a 5-minute walk from Basilica di San Giovanni e Paolo and 6 minutes by foot from Rialto Bridge. Featured amenities include express check-in, express check-out, and luggage storage. A stay at Two Ducks Hostel places you in the heart of Rome, within a 15-minute walk of Colosseum and Trevi Fountain. Featured amenities include a 24-hour front desk and luggage storage.